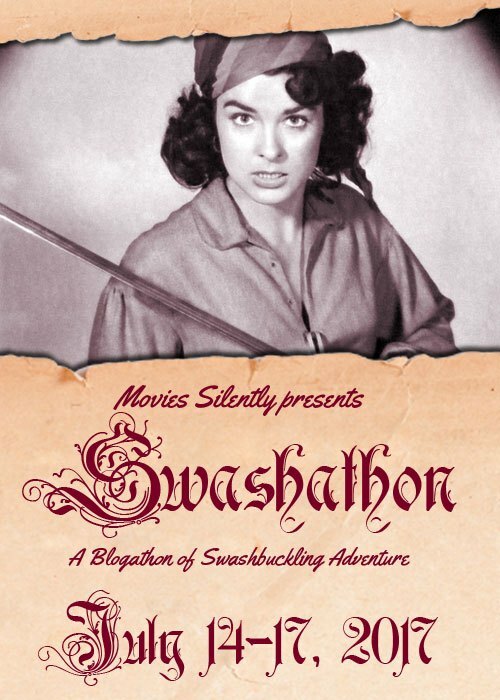 When I think of swashbuckling, I picture fantastic adventure and daring heroes, such as Sinbad and Robin Hood. The Buck Rogers comic strips and serials brought the sensibilities of the style into the realm of science fiction, and Star Wars launched a powerful franchise out of the mixture of fantasy, adventure, and technology. There have been quite a lot of imitators, but few ever approached the delightful world-building or production values achieved by Krull . To begin with, Krull is the planet where the movie takes place. It has two suns, but that’s only to reassure us that it’s not Earth — although, it could be Tatooine. Krull is a fantasy setting, with feudal kingdoms and lots of magical goings-on. There are a few types of seers, magicians, and an unnamed authority who enacts strange punishments for infanticide. It’s a weird and dangerous planet in its own right, and then The Beast descends with his mountainous space vessel, the Black Fortress, and his minions sweep through the lands with their lasers. The Black Fortress approaches Krull. It’s worth pausing to examine the soldiers of The Beast. They’re called slayers, and although they wear humanoid armor they are very alien. The slayers are small slug-like creatures that ride in the helmets of the suits, similar to how Daleks are the fleshy bits at the top of their armor. It’s implied that the slayers are reliant on their shells; at least we only see them blurp out when they’re defeated. These are nasty creatures, and their inhuman presence underscores the peril of fighting them. They’re not like us, and we may never understand their motivations. Reasoning is off the table. They’re an effectively creepy menace whose origins are never explained. Princess Lyssa’s escape is thwarted by the Slayers. A lot of the world building is similarly vague, and I think it’s all the more effective for it. What are the two kingdoms being united through the marriage of Princess Lyssa (Lysette Anthony) and Prince Colwin (Ken Marshall)? If they’re ever named, I’ve never noticed it. There’s bad blood between the Kings, but we never hear what their quarrel is about. In fact, there doesn’t seem to be a kingdom outside of the castle walls. A lot of traveling occurs, but no mention is ever made of who rules any of the locations. Were there only two kingdoms on Krull? It never comes up. I love the interiors of the Black Fortress. This lack of detail never feels like a failing, likely because there’s not a lot of time to notice it. The movie clips along at a good pace, always providing a new threat or challenge to face. Although a sizable fortune went into the making of Krull , there’s a decided economy at work as to where the money is spent. Less money for fleshing out villages means more for turning a studio into a convincing swamp. Early fights would have been exciting, but we’re well-served by just hearing that 300 were lost on the way to the wedding. We see why soon enough, in the raid that sets the plot in motion — a much better place to focus resources. This first set-piece establishes everything we need to know to set our expectations for the movie. Swordplay, blasters, and magic combine to take the epic science fantasy of Star Wars back to a more medieval setting. Slayers rise from the swamp as Prince Colwin’s group passes through. Though the action takes place on a single world, there is a breadth to the action of Krull . The only sets used repeatedly are the interiors of the Black Fortress. These are stylized anatomical spaces, and there’s some ambiguity as to whether they represent the Beast himself. Certainly the structure’s integrity relies on its master, whose size is unclear but too vast to fit within its passages. In addition to this location and the wholly fabricated swamp, there’s the site of a robber ambush, the castle of Lyssa’s father, the seer’s cave, the Lair of the Crystal Spider, the resting place of the glaive, a campsite or two, the land of the fire mares, landing sites for the Black Fortress, and several gorgeous exteriors that Colwin climbs. The story constantly takes you to new places, and even the Beast’s lair relocates once a day. It’s an expensive way to make a movie, but it pulls the audience along while constantly showcasing the setting of the finale. One of the many locations for the Black Fortress. Longtime readers will have keyed in on “the Lair of the Crystal Spider”. This is one of the first films I thought of when I started this site, because the spider is so well-done and frightening. Ynyr (Freddie Jones), Colwin’s guide and mentor, enters the lair to consult the Widow of the Web (Francesca Annis). She sits in a silk chamber at the center of a giant web, guarded by the crystal spider. This is an enormous transparent spider brought to life through some very nice stop-motion animation. It attacks anyone crossing the web, and Ynyr only makes it to the safety of the Widow’s chamber because she turns the hourglass that marks her own life. It’s a trick that only works once; they’ll have to take drastic measures to allow him to escape with her wisdom. It’s a terrific sequence that raises the stakes, and the one-day usefulness of the information provides even greater urgency for the second half of the film. The spider closes in as Ynyr approaches the Widow’s chamber. The Widow is a tragic character, and her story is one of the few occasions to ponder the greater workings of the world of Krull. Skip to the next paragraph if you’d prefer to avoid the details for now. She and Ynyr were lovers in their youth, and only after they’d been separated had she learned that she was pregnant. On the child’s birth, she killed it, and her punishment was to sit at the center of the web. I have so many questions, but I’ll only list two: who punished her, and is this standard procedure? It feels very mythic and implies some form of punitive divinity, but it’s a rare case of the lack of information causing some brief disruption rather than merely hinting at a larger context. Ynyr consults the Widow of the Web. I’ve loved this movie since childhood, and for the most part it holds up to adult viewing. The leads aren’t bad, but the supporting cast is a mixture of old pros soon-to-be famous faces. Experienced players Freddie Jones, Alun Armstrong, Francesca Annis, and Bernard Bresslaw anchor the film with their performances in key roles, and sharp eyes will spot youngsters Liam Neeson and Robbie Coltrane among the bandits that join Colwin’s quest. The majority of the effects still look good, even though the animatronic Beast suit is almost self-consciously hidden behind blurry footage. This is one of the clearest glimpses of the Beast. A lot of people sunk money, talent, and effort into Krull , banking on the appeal of heroic adventure and the public’s new taste for science fantasy. That it failed to return even a third of its estimated budget is shocking, but it was hardly the first time a good movie flopped. Maybe people were too busy being disappointed in Jaws 3-D to give it a chance. Or audiences were more interested in comedies like Mr. Mom and National Lampoon’s Vacation . Whatever happened, Krull had now achieved cult popularity, an outcome that hardly softens the blow of a loss of around $30,000,000. Bonus view of the spider! This review is part of the Movies Silently Swashathon for July 2017. I was not familiar with this movie until reading your entertaining article. I am intrigued. I agree that you can over-do origins in fantasy. As an audience I will either accept the world presented or not. And if I go into this sort of picture, I am already halfway to acceptance. Thanks for the kind words! For me, the movie works. A lot of friends whose opinions I respect find it too tedious, so it’s really a matter of expectations and tolerance, I think. Going in prepared to just accept the lack of explanation is probably the best approach. Thanks for creating the event! It was fun fitting my weird obsession with giant spiders into the theme. Thanks for writing about Krull! I saw it (and enjoyed its mix of humor and adventure) when it first came out. Sadly, it seemed to get lost in the shuffle of (or lumped in with) the many fantasy films that came out right before and right after its release. It’s a shame it didn’t do better at the box office, but I’m glad to see there are others who liked it! I have never seen Krull, but yoiur review makes me want to look for it. I like the approach of saving the budget for the important stuff. Thanks! I hope you like the movie. It’s a lot of fun if you give it a chance. Thank you for writing this. I have *always* loved Krull. It’s brilliant in spite of its cheesiness. Never seen anything like it before or since.